Welcome to 2/90 Sign Systems!VitalSign Support | Welcome to 2/90 Sign Systems! Adapt each section of a VitalSign signage component to meet your needs. 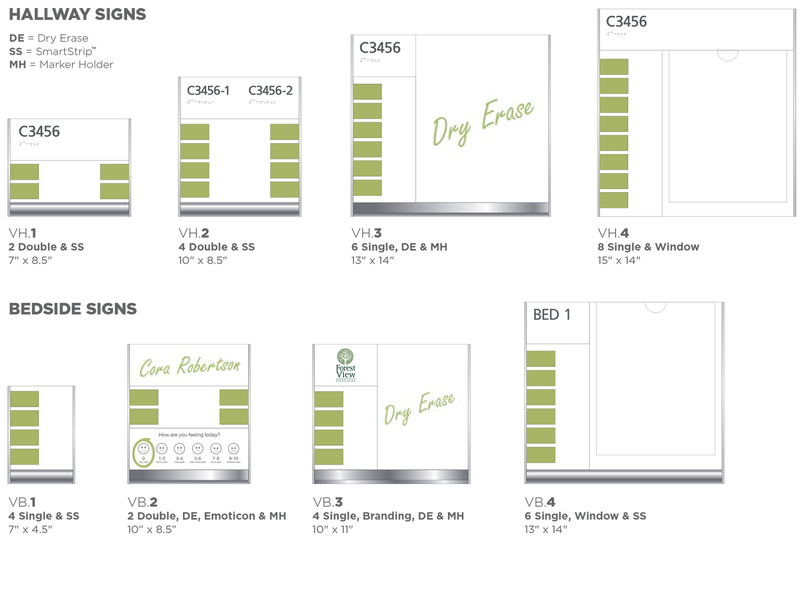 Choose a standard template or integrate your brand in a custom design. Choose room ID ADA standard insert with digital print, window insert for nurse/patient name, or dry erase board. Choose standard color-coded medical alert messages or customized sliders in any color, symbol or configuration. Sign size is determined by the number of messages, and alert modules can be added in two-message increments. Slide the magnetic tool to reveal the patient care icons. 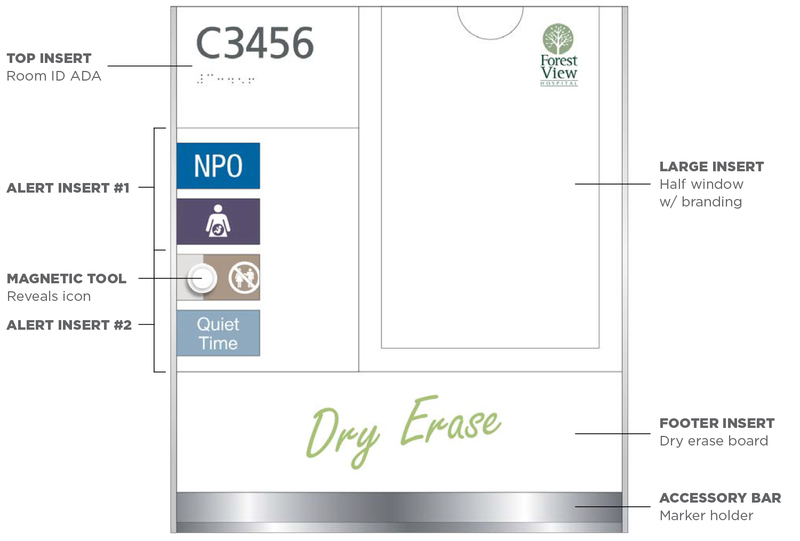 Add a window insert for changeable printed messages or dry erase board for written notes. Add a dry erase board, magnetic window insert, or standard insert with digital printing to display brand, emoticons or infectious disease control messages.. Attach a SmartStripTM to post paper or laminated messages, or a convenient marker holder. Eight unique configurations let you tailor solutions to every need.